This painting was awarded the College Prize at the Royal Glasgow Institute of the Fine Arts exhibition in 2005. This painting was commissioned by the Orient Line for the ‘Oriana’ where it was displayed in the Princess Room (Princess Alexandra had launched the ‘Oriana’ in 1959). The painting is on display in the Alexandra Room in the Royal College of Physicians and Surgeons of Glasgow (Princess Alexandra became an Honorary Fellow in 1960). 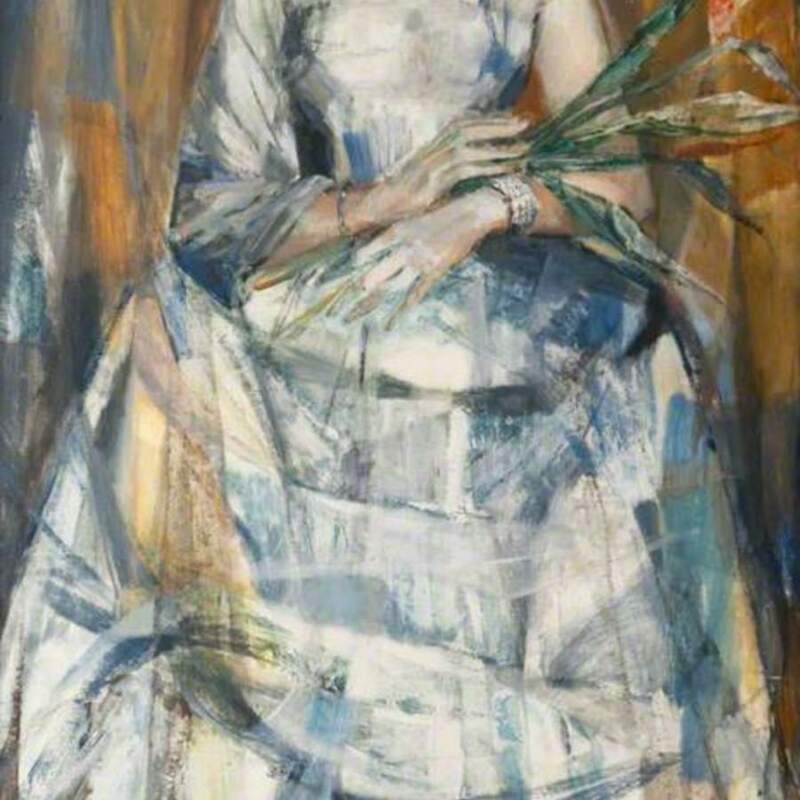 Cassab, Judy (Australian painter, born 1920, born in Austria), “HRH Princess Alexandra (b.1936), GCVO, in Evening Dress ,” Heritage, accessed April 23, 2019, https://heritage.rcpsg.ac.uk/items/show/506. Description: This painting was awarded the College Prize at the Royal Glasgow Institute of the Fine Arts exhibition in 2005. This painting was commissioned by the Orient Line for the ‘Oriana’ where it was displayed in the Princess Room (Princess Alexandra had launched the ‘Oriana’ in 1959). The painting is on display in the Alexandra Room in the Royal College of Physicians and Surgeons of Glasgow (Princess Alexandra became an Honorary Fellow in 1960).